We now have light in the two flat. The first floor had been lived in recently, so it was pretty easy to get that turned back on. 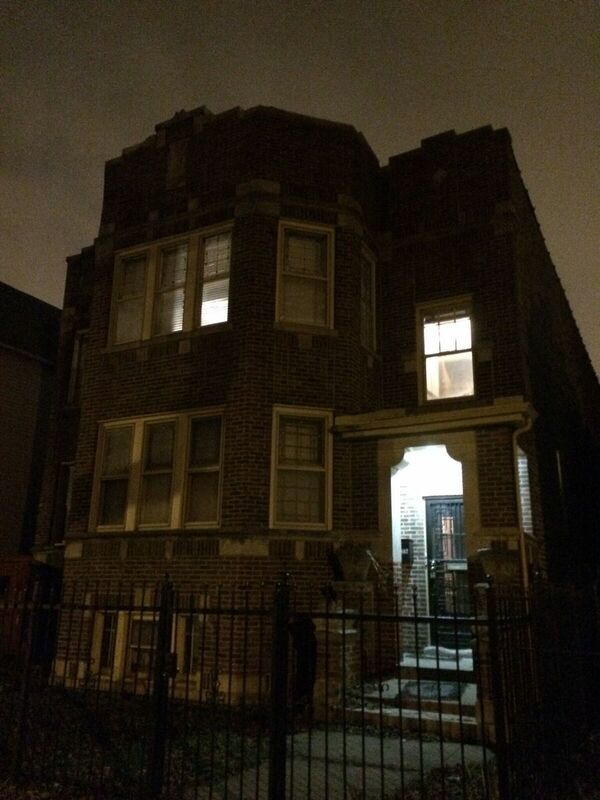 ComEd was able to just flip a switch somewhere without even needing to come to the property. The second floor and the public box have not been in use for a while, so that took a little time. The second floor, for some reason was marked as a commercial box, which should not be the case. The public box had the hall lights for the front staircase (right side of pic). With light, that means that the bar on the second floor finally gets its due. The lighting is really cool, they must have really had some good parties here. 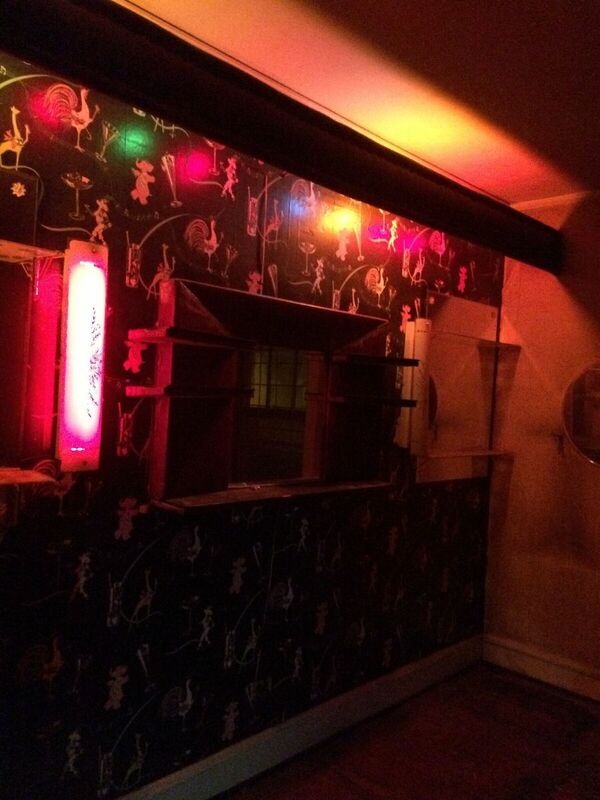 There is a light bar about 10″ down from the ceiling with colored light bulbs. 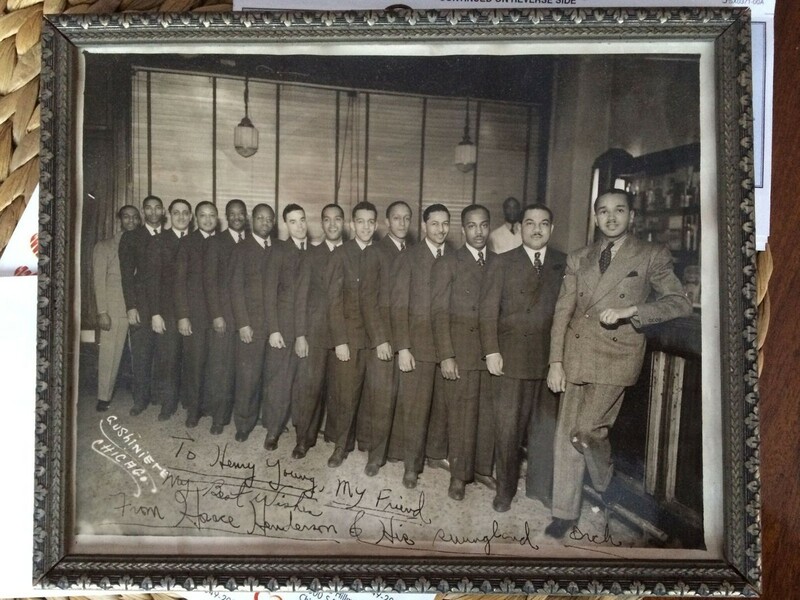 There was a signed pic to Henry Young – the previous owner – from Horace Henderson and His Swing Band. Henry Young was the gentleman who built out this bar, and was involved in the extralegal activities mentioned in the first post (numbers running and the African American private lottery). He sounds really interesting. I enjoyed talking with the selling agent and the family’s attorney at the closing table. They had a lot of stories to share. I Googled Horace Henderson, and it sounds like he had a really good act. 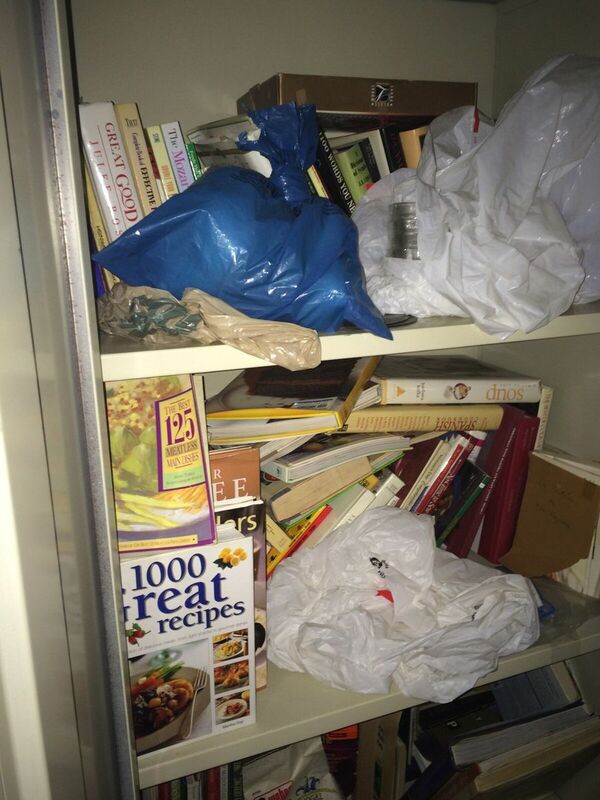 The basement was stuffed full of cookbooks. There must have been 300 of them. Some of them were quite new, and I may learn a few tricks. My wife always teases me that I should open an “old stuff museum”, so with that, here are a couple of the things I found. There are enough extra key’s to fill up the mug below. 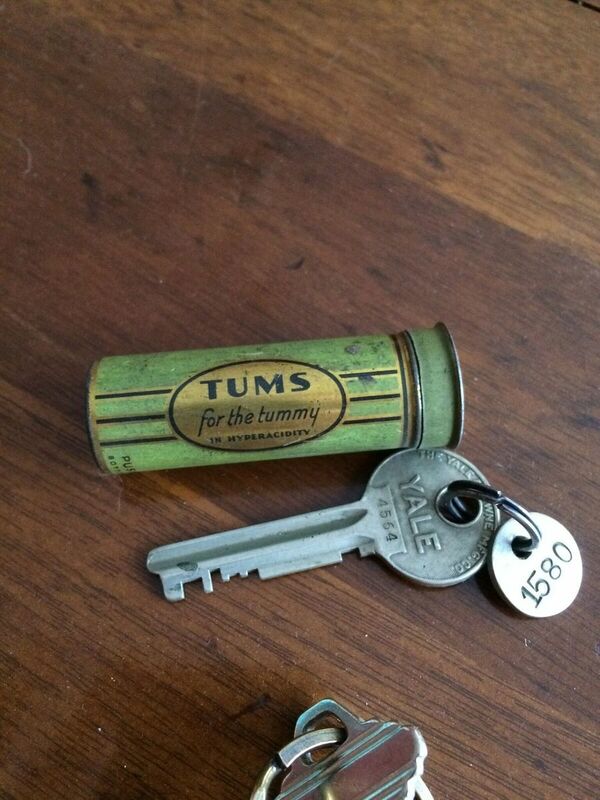 On the second floor there was a junk drawer that must not have been in use since the 40’s or 50’s. 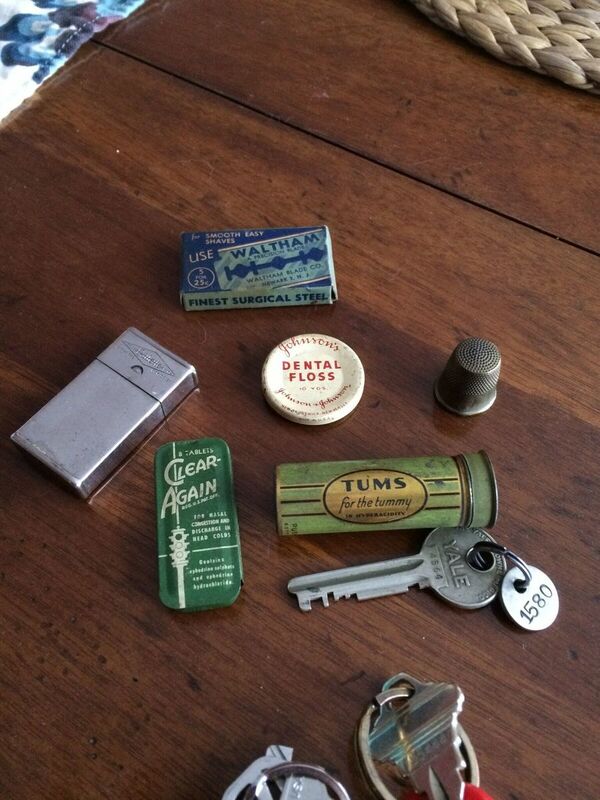 There were straight razors, medicines, tons of keys – it was really fun to poke through. 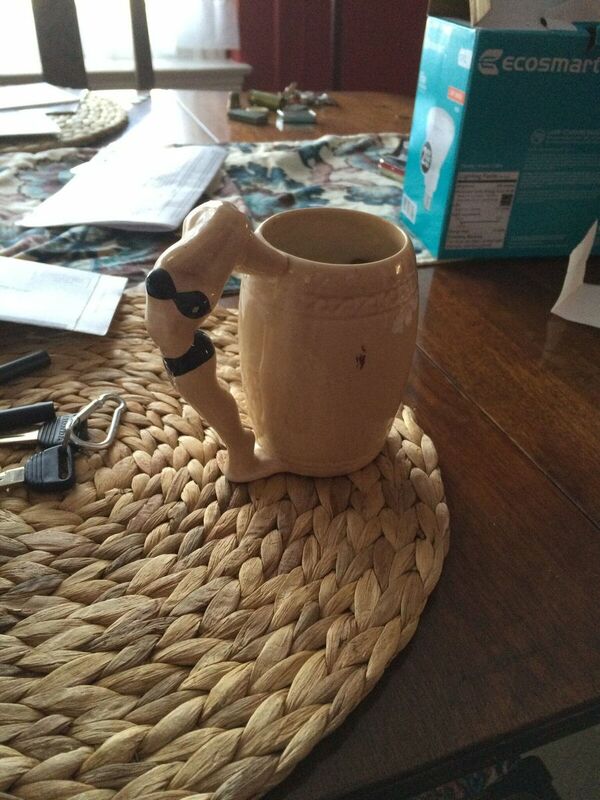 I am sure everyone needs a provocative coffee cup! 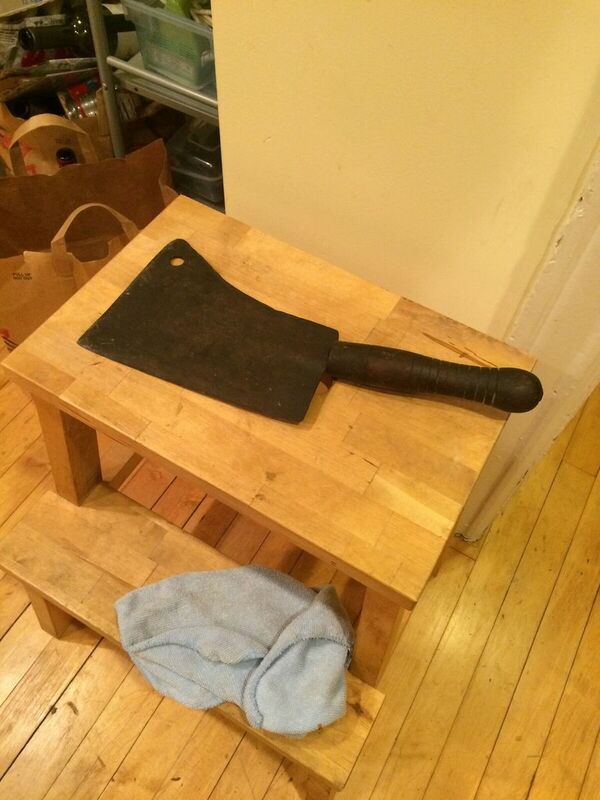 Who doesn’t need the largest meat cleaver? Not sure when I will need that. 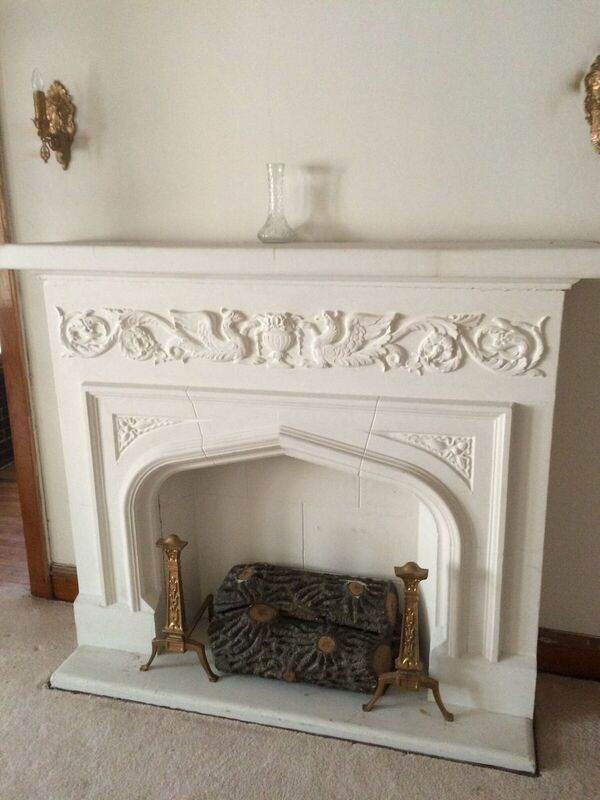 In a few days, we should have plaster repairs done and the first floor unit painted and ready to rent. Over the last couple of years, I have done a couple of flips, and about 10 years ago, I used to live in and rent units in a 3-unit building – something I have heard people call “house hacking” – good idea. 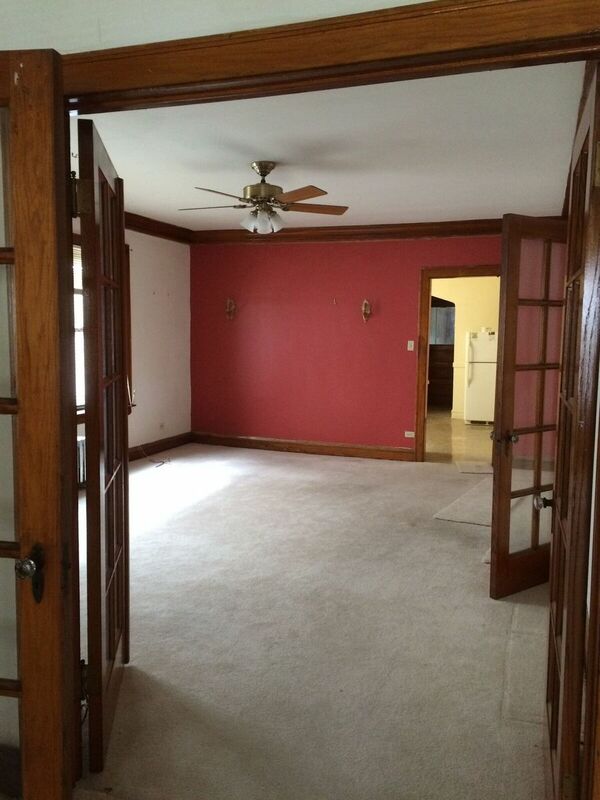 Now, I have purchased a Jumbo 2-unit to rent out the units. 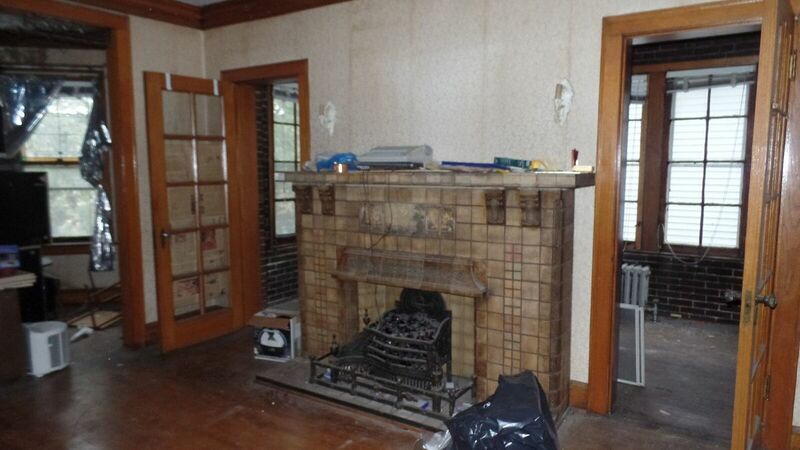 My twist on things is that I like to buy mostly intact old buildings and renovate them, not just gut them out. The first floor is in pretty good shape. The second floor needs work, but has some really cool features. 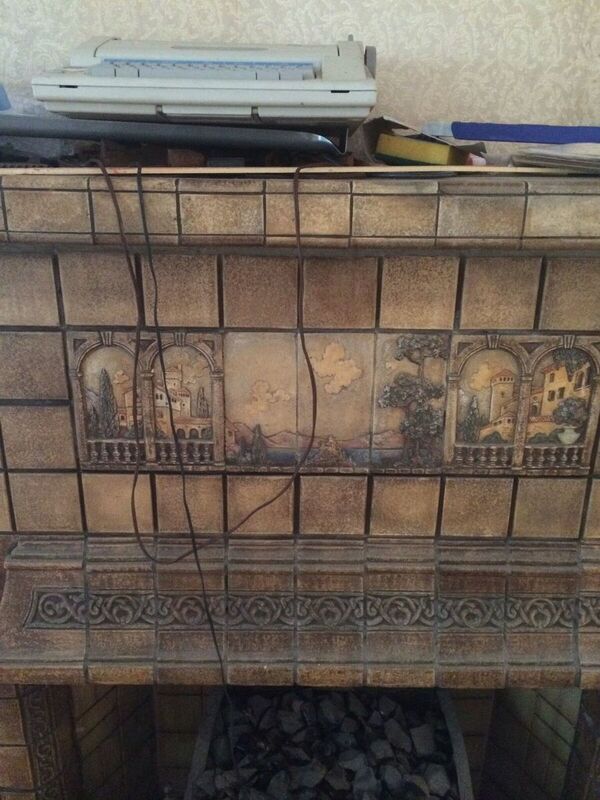 I don’t think I can keep it, but I love old scenic wallpaper. I don’t think I could get a renter to swallow it though, so it will probably have to go. As a compromise, I might try and salvage one wall, keep the pressed wood horizontal rail, and keep the green “dado” under the trim. I also have all of the electric fixtures in the house. I won’t put the dining fixture back on the first floor, people like ceiling fans, but I will keep this one here, and take the one from the basement and put it in my old-house spare parts collection. 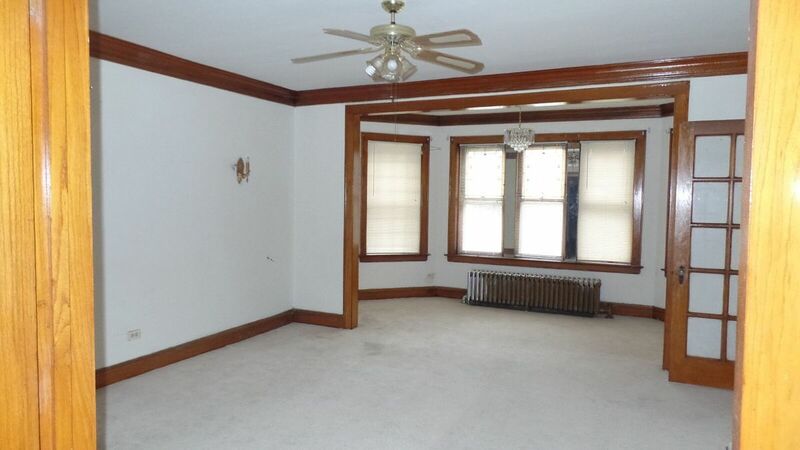 The dining rooms in these apartments are really huge. They are 3/2’s, but I bet they are about 2000 sq/ft. 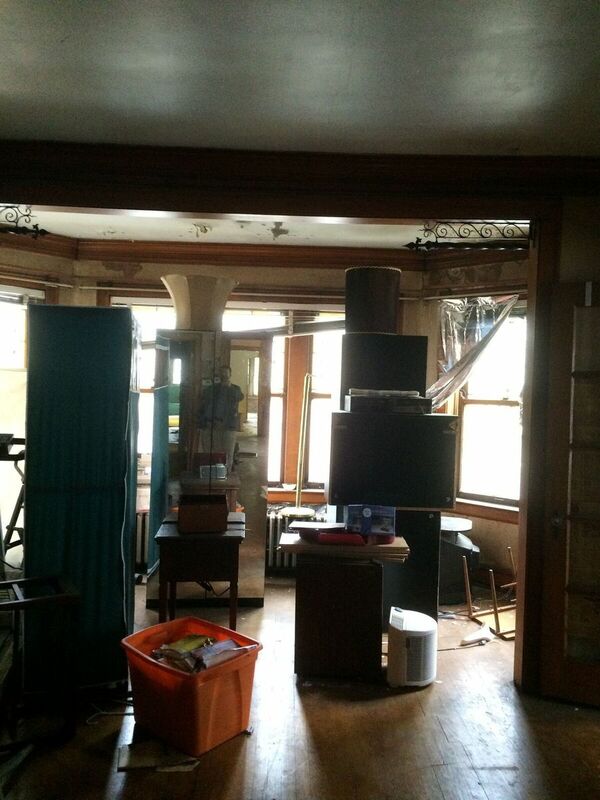 The upstairs still has a ton of stuff in it, as does the basement. 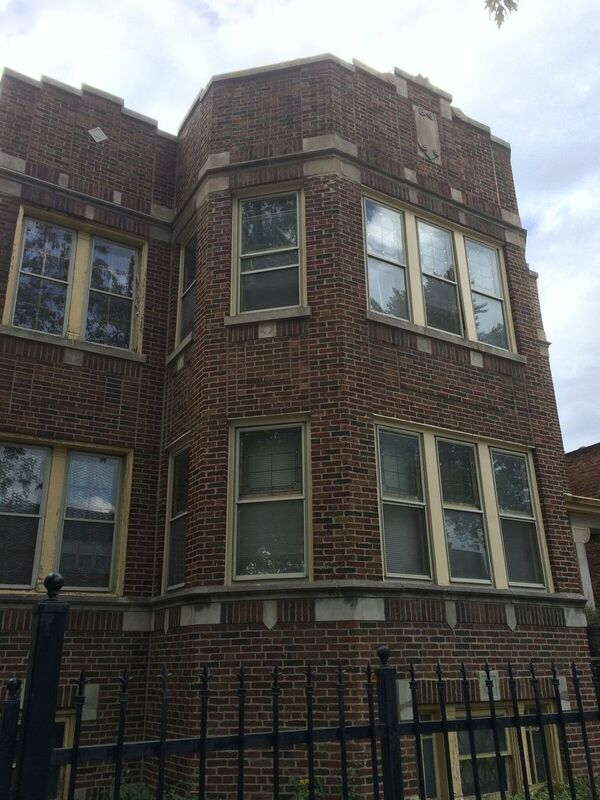 The guy who lived here was involved in “running the numbers” in Chicago in the 40’s-60’s, so the basement actually has four small apartments for his numbers runners. 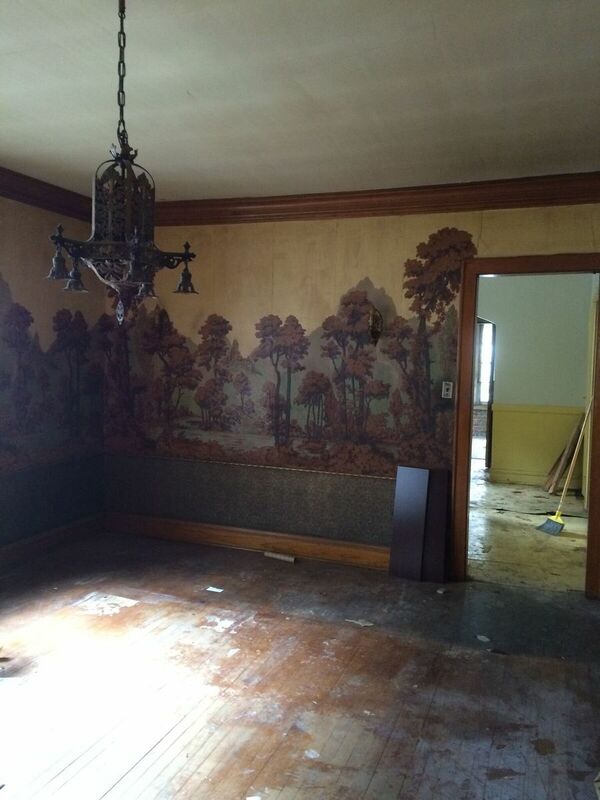 So, this building needs a lot of work, but it still has all of the old house goodies that I really like – original bathrooms, butlers pantries, nice floors, unpainted woodwork, and as a bonus, a bar on the second floor! 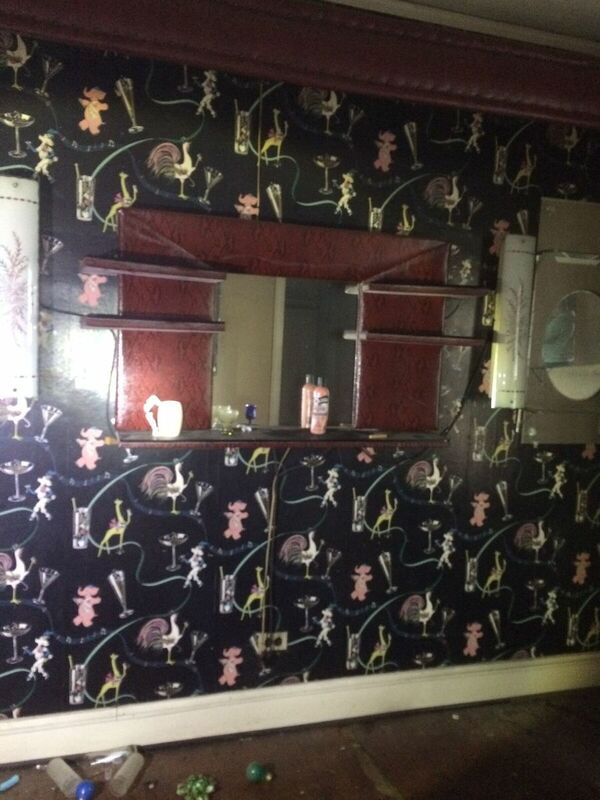 Yes, those are pink elephants! And large birds with drinks! My name is Derek. This will be my blog on the buildings I am currently working on. Please bear with me as I get started, and I hope this will be fun. We are working on renovating the farmhouse in Michigan on the left, which we got for $17k, and has the issues one might expect, and a two-flat (2-unit everywhere but Chicago) in the Woodlawn neighborhood in Chicago.